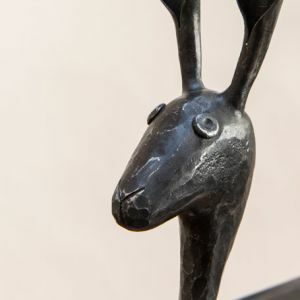 Christmas came early for us this year in the form of some fantastic awards, ranging from the building we lovingly restored to the people who keep it running. 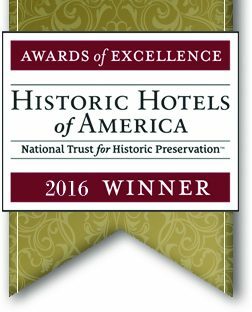 I was stunned and thrilled to see us win the Best Historic Hotel in its class (76-200 rooms) at the Historic Hotels of America Awards of Excellence this year. Coming after years of renovations, the honor was a gratifying recognition that the updates had not impacted our claim to authenticity. 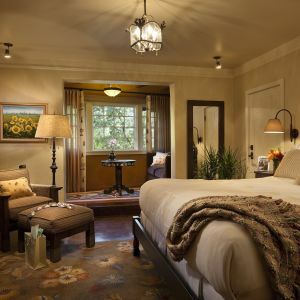 Lawrence Horwitz, executive director of the organization, called the winners “the pinnacle in historic hotels and their achievements,” which carries some weight coming from a program of the National Trust for Historic Preservation! Just as nice were two other awards that came directly from guests. 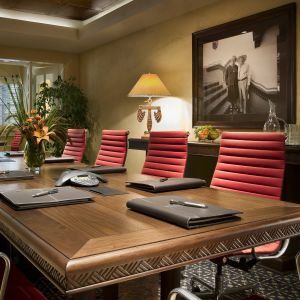 Condé Nast Traveler’s Reader Choice Awards put us among the ten Top Hotels in the American Southwest, while Smart Meetings gave us a Platinum Choice award for excellence in all aspects of hosting events, from ambience and amenities to recreational activities and dining options. 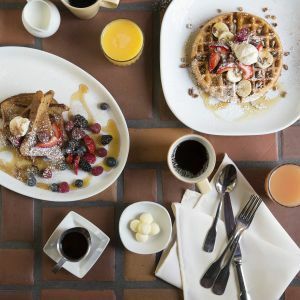 Happy guests and meeting planners both—how gratifying is that! Of course, we feel like winners every day at La Fonda because of our top-notch team. Though it may sound clichéd, the proof comes in the fact that we win top employee awards for the New Mexico hotel industry every single year, and La Fonda has taken home a best-in-industry employee award every year since as far back as our HR director’s memory goes, which is at least 1991! This year was no different: Sales Director Ed Pulsifer was named Hospitality Professional of the Year, and La Fonda made Hotel of the Year! Our other candidate, Accounting Manager and IT guru, Thomas Beltran, made the finals for Back of the House Hospitality. So while outside recognition is nice, when it comes to feeling thankful every day, I have to say to all 279 members of our staff, “You are the best of the best...Thank you!" 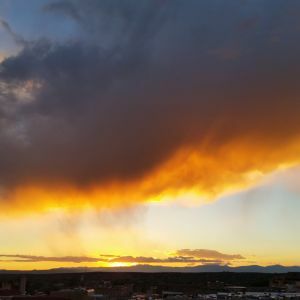 With the onset of cooler weather in Santa Fe, thoughts of warm, hearty meals come to mind. 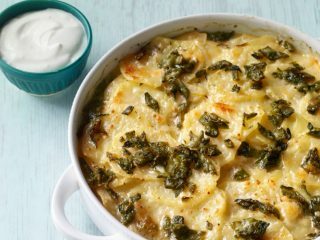 And there is nothing better than scalloped potatoes done with a Southwestern flare. Chef Lane has shared this decadent recipe that will have your mouth watering. (Chef note: Poblano peppers are a mild pepper). 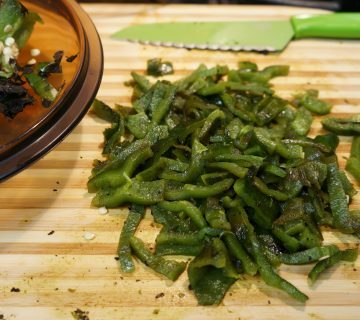 Roast the poblano pepper over gas flame or in oven, then cool, peel and dice. Take 8x6 baking dish, rub bottom and sides with whole butter then garlic, now season the pan with salt and pepper. Slice potatoes very thin (1/16”) and layer into dish. Sprinkle the small diced poblano on top. Cover with cream and Half & Half, top with cheese and place in oven for around 45 minutes until golden brown and delicious. Make sure you place a cookie sheet or foil underneath the pan or on the lower shelf to catch any drippings. 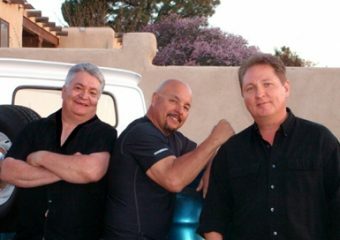 Just because they’ve been playing La Fiesta Lounge for 20 years doesn’t mean the band Sierra isn’t thrilled when their popularity is on the rise. Santa Fe’s two-steppin’ crowd has taken to following them to La Fonda every month, which helps get everyone out on the dance floor. “Once they see people dancing, all hell breaks loose,” bass player Albert Martinez says of the more timid newcomers who might sit back and listen for a while. 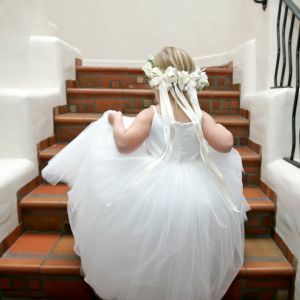 Increasingly, he says, groups of ten or twelve couples show up regularly at La Fonda and light the place up. “It really helps us, because we have to keep up with what they like,” he adds. 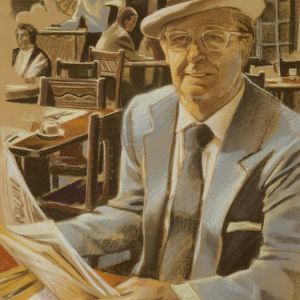 Happily, the veteran entertainers play just about everything, from the standard country two-step that they shared on stage with Bill Hearne, to norteña, boleros, cumbias, and rock ‘n’ roll. With Joe Louie on drums and Ron DeShazo on keyboards, all three players lend their voices to whatever people request. “My motto is, if I’ve heard it, I can play it. And if I don’t know it, then I’ll fake it,” Martinez laughs. “That keeps it interesting, so we don’t get bored either.” Polish up your cowboy boots for a rousing New Year’s Eve with Sierra in La Fiesta Lounge, Dec. 30-31. 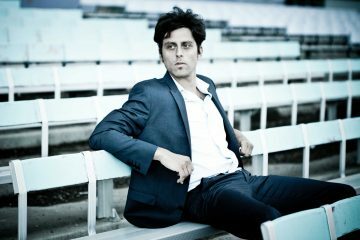 Enjoy the unusual wealth of classical music resources in a town that boasts two orchestras and half a dozen choral and chamber music groups—not to mention opera, ballet, and performances broadcast live in HD. Christmas is, of course, the dominant theme in music this month, from the Santa Fe Symphony’s concert of Christmas Treasures (Dec. 11), to tenor Eamonn McCrystal and Chloe Agnew playing Irish Christmas favorites (Dec. 6), to pianist Claire Huangci at the annual Christmas Eve concert (two shows, Dec. 24), all at Lensic Performing Arts. 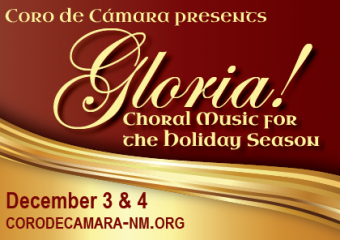 Santa Fe Pro Musica performs its Baroque Christmas at both Loretto Chapel (Dec. 19) and the United Church of Angel Fire (Dec. 18), and the chamber music group Coro de Cámara likewise performs its Christmas choral concert Gloria! at both the Immaculate Heart of Mary Chapel (Dec. 3) and the United Church of Los Alamos (Dec. 4). 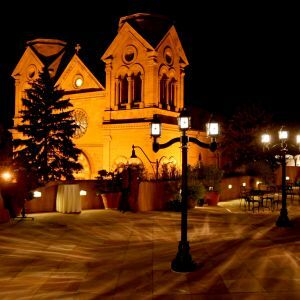 Performance Santa Fe features the sextet The King’s Singers in the inspired setting of the Cathedral Basilica (Dec. 5). 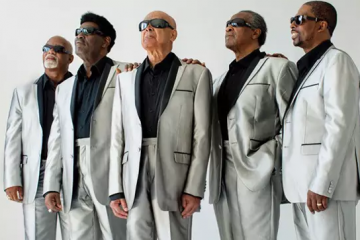 There’s also a Mariachi Christmas (Dec. 2) and The Blind Boys of Alabama singing gospel classics (Dec. 20), both at the Lensic. 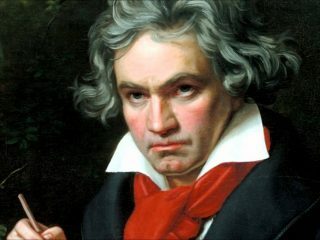 Finally, the annual New Year’s Eve concert from Performance Santa Fe features Beethoven’s Ninth in two shows (Dec. 31). Happily, everything is within walking distance of La Fonda for the holidays, from the annual tree lighting ceremony in the Plaza that takes place the night after Thanksgiving (Nov. 25) to Christmas at the Palace with hot cider, music, piñatas, and all the trimmings at the Palace of the Governors (Dec. 9). 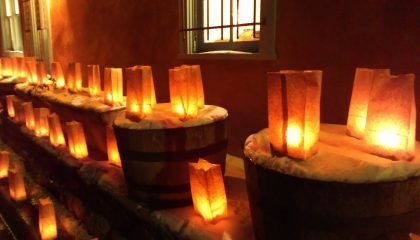 The Plaza is also the setting for the candlelit procession Las Posadas (Dec. 11). Winter Indian Market (Dec. 16-18) takes place even closer—inside La Fonda, where a Special Opening Celebration will be held Friday evening that includes early bird shopping, hor d’oeuvres, entertainment, and a silent auction. "All Access" tickets are available for $50 and include the Special Opening Celebration on Friday 12/16, as well as entry to the market for the rest of the weekend. More information and tickets can be purchased at SWAIA.org. 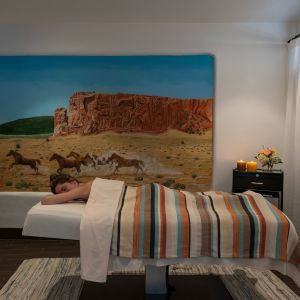 Come to Santa Fe for a fun overnight stay and finish your holiday gift shopping at La Fonda. 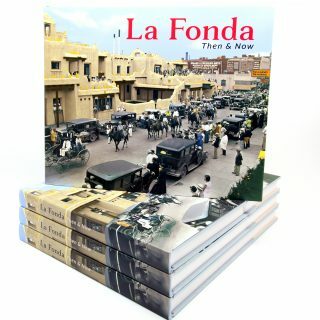 Also, don’t forget to get your copy of La Fonda’s new coffee table book, La Fonda: Then and Now, available at Detours at La Fonda. You still have time to get a copy for yourself and one for each of your best friends. The book sells for $55 plus tax and shipping, Yes, we can ship it to you! Call the store at (505) 988-1404 to have a copy sent to you or as a gift to anyone you name. 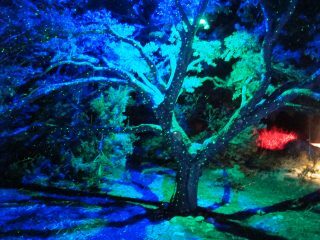 The Santa Fe Botanical Garden’s annual GLOW illumination exhibit opens with a preview party on Dec. 7 (catered by La Fonda! 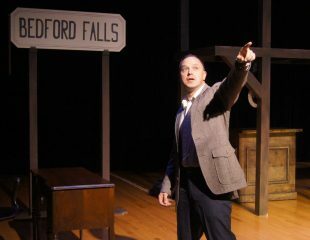 ), and runs nightly through Jan 1. Head over to the garden in time to create your own holiday wreath using local botanicals (Dec. 3). Or go learn about the construction of the famous Cochiti drum at a cultural presentation at Cerrillos Hills State Park (Dec. 3). 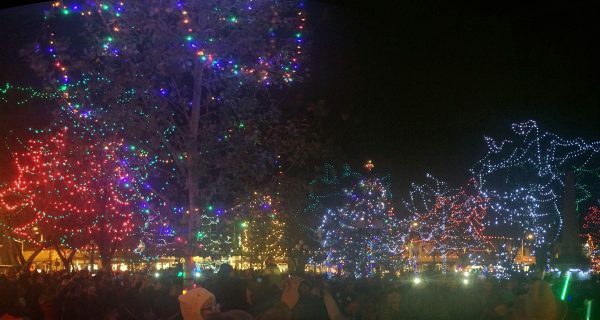 Locally made gifts will be on display at a special evening handcraft festival at the Railyard with entertainment and food/alcohol available for sale (Dec. 10). 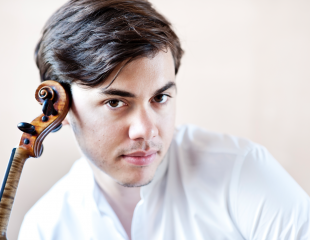 The symphony’s new principal conductor Guillermo Figueroa begins his tenure with a concert of Sibelius, Mozart and Brahms (Jan. 22) at the Lensic, where the Santa Fe Pro Musica orchestra plays American favorites headlined by Gershwin’s Rhapsody in Blue (Dec. 29), and a celebration of Mozart’s birthday features violinist Benjamin Beilman (Jan. 28-29), with optional artist dinner on Sunday, Jan. 29 at 5:30pm at 315 Restaurant and Wine Bar. 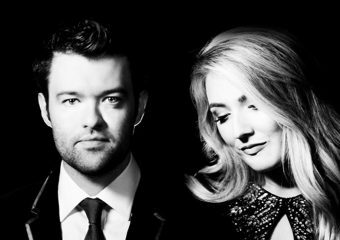 Call the Pro Musica box office to reserve: (505) 988-4640. The Brentano String Quartet plays a concert in honor of the New Mexico Museum of Art’s centennial in its St. Francis Auditorium (Jan. 15). Enjoy another vocal concert at the Cathedral Basilica with Grammy-winning polyphonic octet Roomful of Teeth (Jan. 21). Serenata of Santa Fe gathers “unique compositions” under the heading Harmonic Divergents at First Presbyterian Church (Jan. 15). And Joseph Illick continues his series of performance talks with an exploration of Franz Schubert at the United Church of Santa Fe (Jan. 31). 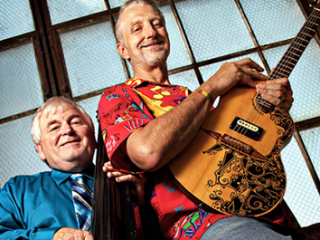 In contemporary music, the Grammy-nominated duo of Keith Grimwood and Ezra Idlet bring their infectious, kid-friendly folk pop to the Lensic as Trout Fishing in America (Jan. 15). Meow Wolf features the DJ from L.A. known as The Gaslamp Killer (Dec. 3), David Berkeley with his full band Atalaya(Dec. 9) and Barrio Lindo & Uji from South America (Dec. 10) along with two nationally known hip-hop artists: Sole (Dec. 23) and Sage Francis (Dec. 29). Come back for New Year’s Eve and have a fully immersive experience at a party known as Galactic Jungle. And three songwriters who fall under the broad label of Americana come together on stage at the Lensic: Dave Alvin, James McMurtry, and Jimmie Dale Gilmore (Jan. 14). Performance Santa Fe stages the classic opera Mikado in abridged form as a free family event at the Scottish Rite Center (Jan. 11, 13, 14, 15). On screen at the Lensic, Met Live in HD will broadcast Kaija Saariaho’s medieval romance L’Amour de Loin (two shows, Dec. 10) and a new production by Bartlett Sher of Gounod’s Roméo et Juliette (two shows, Jan. 21), plus Verdi’s Nabucco with Placido Domingo in the title role (two shows, Jan. 7). From London, National Theatre Live in HD will broadcast Harold Pinter’s No Man’s Land starring Ian McKellen and Patrick Stewart (Dec. 21), which includes an exclusive Q&A with the cast and director. 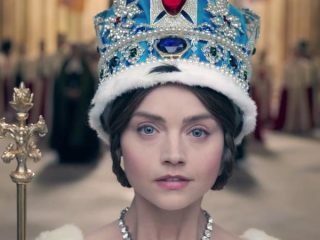 Also at the Lensic will be a free premiere of the new PBS Masterpiece series Victoria (Dec. 9)—period costumes encouraged! 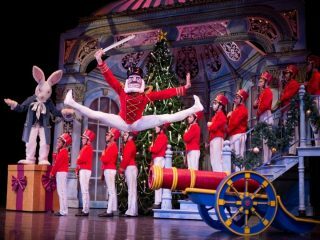 Jeremy Kendall performs his one-man play This Wonderful Life, featuring characters from the iconic 1946 film (Dec. 1), and Aspen Santa Fe Ballet dances The Nutcracker for four shows (Dec. 17-18), all at the Lensic. Celebrate Hanukkah at the New Mexico History Museum by making beeswax candles and learning to play with a dreidel (Dec. 18). 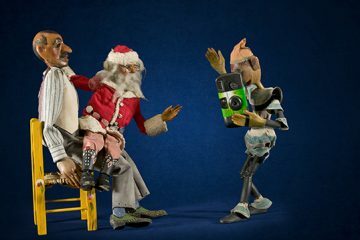 The same day, the museum opens the exhibit In Search of Dominguez and Escalante, photos by Greg MacGregor and Siegfried Halus, and the New Mexico Museum of Art has its annual holiday open house with puppet plays, selfies with Santa, and hands-on art activities. 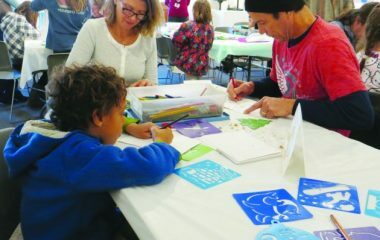 At the Georgia O’Keeffe Museum, try a two-hour guided painting class inspired by the Modernist (Dec. 17 & 27). 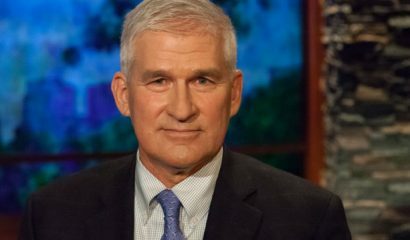 Military historian Andrew Bacevich speaks with historian Marilyn B. 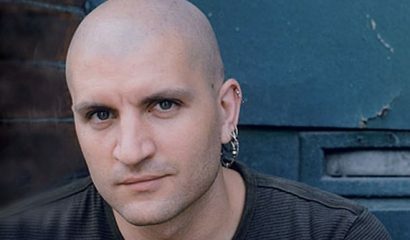 Young (Dec. 7) at the Lensic, followed by sci-fi writer China Miéville with literature professor Jord/ana Rosenberg (Jan. 18) as part of the Lannan Foundation’s speaker series.